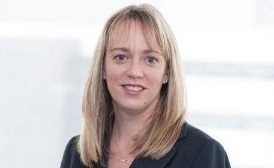 Heidi Davidson stepped down from her role as SVP of communications at BlackBerry last month. NEW YORK: Former BlackBerry SVP Heidi Davidson has joined communications firm GF Bunting + Co as a consultant to support the expansion of its New York practice. Davidson will collaborate with companies, nonprofits, colleges and universities, law firms, athletes, and celebrities to communicate to various audiences, according to her LinkedIn profile, which says she joined the agency this month. Davidson, who stepped into the role on June 4, is reporting to founder Glenn Bunting. GF Bunting updated its website to include Davidson’s role and bio. Davidson was not immediately available for comment. "I am doing consulting work for GF Bunting’s client base in areas including reputation management, crisis planning, and crisis comms," she said. "I will also be aiding clients with change management, which includes anything from a change on company culture, a CEO transition, executive team changes, and board-level work." As GF Bunting looks to increase its presence in New York, Davidson will work specifically with clients out of the firm’s base there. Last month, Davidson stepped down from her role as SVP of communications at BlackBerry. During her time at the mobile-device company, she managed the CEO transitions of three different leadership teams. She was also responsible for BlackBerry’s internal and external programs to rebuild the company’s reputation and corporate viability. BlackBerry CEO John Chen said at an event last month that his turnaround plan for the company focuses on expanding its software business so it branches out from handsets, in which it has less than 1% of global market share. Last December, BlackBerry shifted from its former global AOR model to enable its communications teams to work with local agencies. At the time, the company said it would continue to work with PR partners APCO Worldwide and Text100 in several markets around the globe. Davidson joined BlackBerry in 2011 after more than 10 years in senior comms roles at MasterCard, according to her LinkedIn profile. She previously worked at Brodeur Worldwide and John Mallen Communications. This story was updated with comment from Davidson.